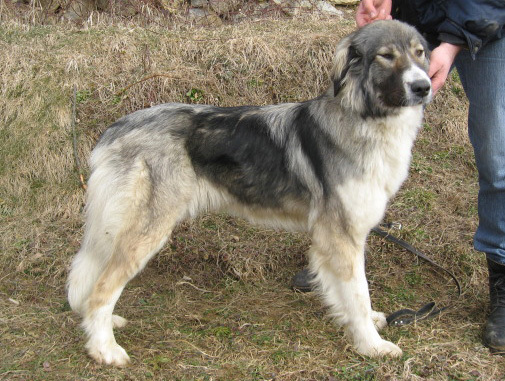 For those who are willing to know a stately and brave dog, to admire an unpretentious and country dog and finally to treat him as a member of their family, we present you this dog: The Carpathian Shepherd Dog. 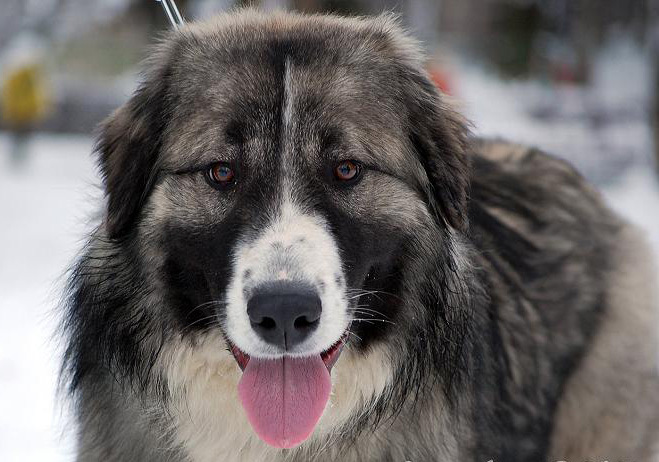 You will certainly fall in love with the Carpathian Dog!
" In The Carpathian Mountain region, the people's basic occupation, from old times, was breeding animals, that would have been impossible, without the Carpathians dogs, who were there to defend the heard. So, a new breed of dogs, was born on this region, a breed selected carefully by the breeders, especially according to the dog's qualities to work. It was necessary to exist a strong and quick-moving dog, able to fight the wolf or lynx, an agile, dynamic dog, capable to immobilize the wolf or the wild boar, and also a strong, reliable dog. This dog must have a special sight and hearing, able to feel the danger at a great distance, must be always attentive, prepaired to react at every sign. 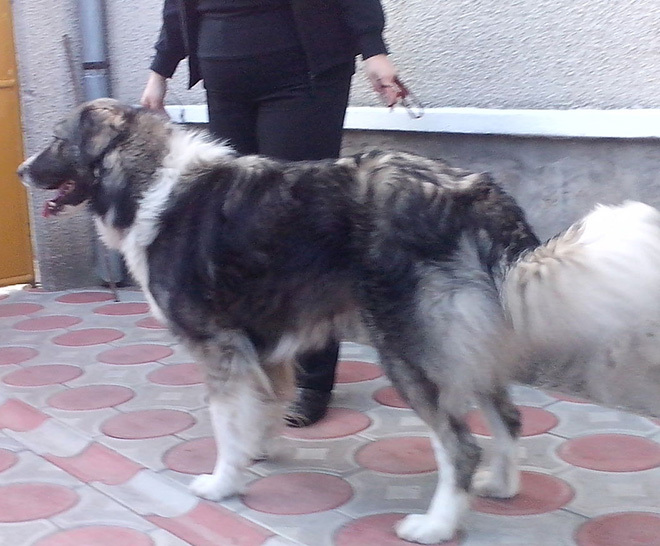 The Carpathian Shepherd Dog has all these qualities." 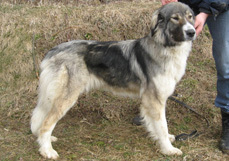 " The Carpathian Shepherd Dog is stout, solid, strong and due to its inward nature and temper is similar to a wolf. Its eyes and atitude, in moments of fury, have something in common with those of a wild beast. But this can be explained because of its way of living, far away from the human society and always fighting with its enemies, the wild animals. Only the shepherd knew its docility, felt its blind devotion and courage. A tireless guardian and protector of the heard, it always show gratitude to its master. A tight connection has been established between master and his servant, a kind of relation that exists between those who live together, on the same fields, sharing both sufferance and happiness and facing the same dangers. The Carpathian Dog can love you for your kind words and affection shown to it but can also, full of anger, attack the enemy, who knows its courage and many times stands aside from its rage." " The wolfish, grey colour gives it a special charm. 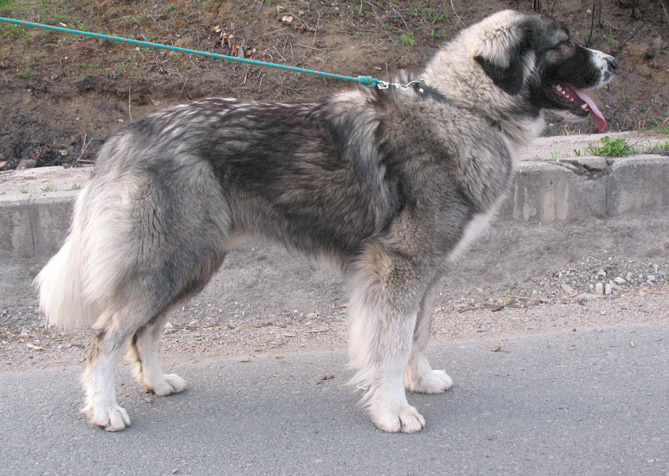 The Carpathian Shepherd Dog might seem to you unimpressing at the first sight, but if you look at it, for a few minutes, carefully, you will be definitely charmed by it." " But one night the big bear appeared again. He came as usual, hulking, dislodging stubs and boulders, mumbling creepily. The dogs jumped barking angrily, trying to stop him. The sheepmen appeared with axes and bats, mazut torches and what they could, but the bear was used to these. Hurmuz jumped as well, cast himself into the bear's rib and grasped him firmly by the fur. The bear ruffled his mane becoming even greater, stood up on two feet, has laid back his ears on the head, gaped his grinning mouth and gave a howl of rage that "shook the mountain and boiled valleys". He furiously and terribly swooped on the people and dogs which could hardly keep away from him jumping sideways in front of the bear on the rampage. But Hurmuz attacked again jumping behind the bear, biting him on the left, on the right, the buttocks, and following him, the other dogs plucked up the courage biting once, twice, several times until the bear's fur was well ragged. The bite wounds were painful and the bear got tired of so much harassment, his saliva was red and his breath a scary grunt. The "enraged" bear began to move backwards, giving howls of rage because this had not happened before, he had not been defeated so far." …………..more information in the next pages. We wish you to have an agreeable reading! 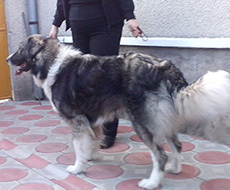 Created on the 11th of January 2008, this website is dedicated to the Romanian Carpathian Shepherd Dog. 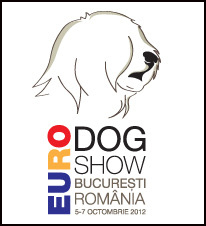 It appeared for a better information for the current and future lovers of this breed from around world. Copyright © 2008 Alin Butisca.